A new year brings a new visit to the metaphysics gift shop to freshen up Life's pages. Okay. Well, something like that. You all know what I mean. Anyway, I do this just about every January, so I'm back again with another Dreammaker haul to share. The first thing I asked when I stepped in the shop Saturday was whether the proprietors had anything new. New crystals. Incense. Gemstones. Anything worth a try for the upcoming year. It's been a year since I last stepped in the place, and because I like trying new New Thought items, I had to see what was new. Experimenting with different powders and such, but not so ritualistically. If you will. 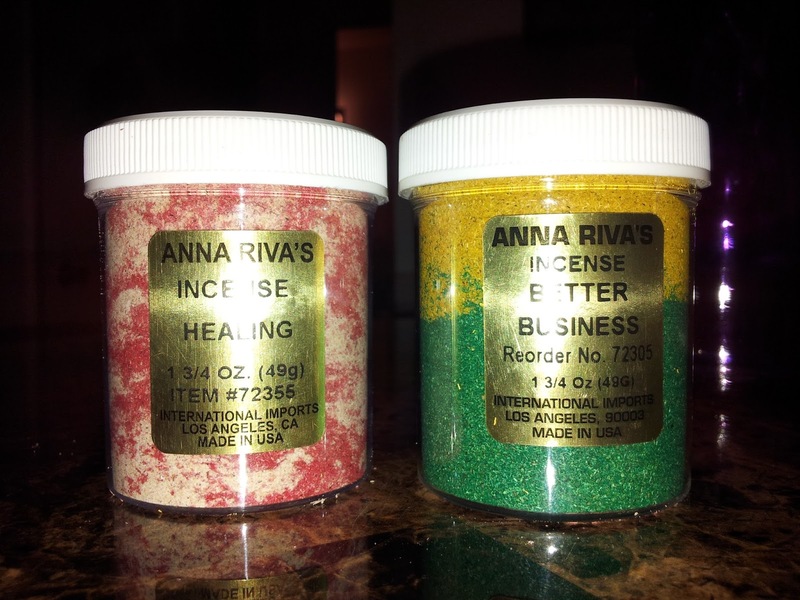 I decided to get the incense blend for better business and healing–both self-explanatory on their purpose. But outside of their function, I really love the actual aroma of each. The better business has the same lemon/lime scent as Anna Riva's money powder. (In parts, it smells like money.) And the healing powder has a peppermint and spicy vanilla scent. According to Anna Riva's website, this particular powdered incense is best burned on Sunday's. As a purifying and protective fragrance lingers throughout your home. That's right. 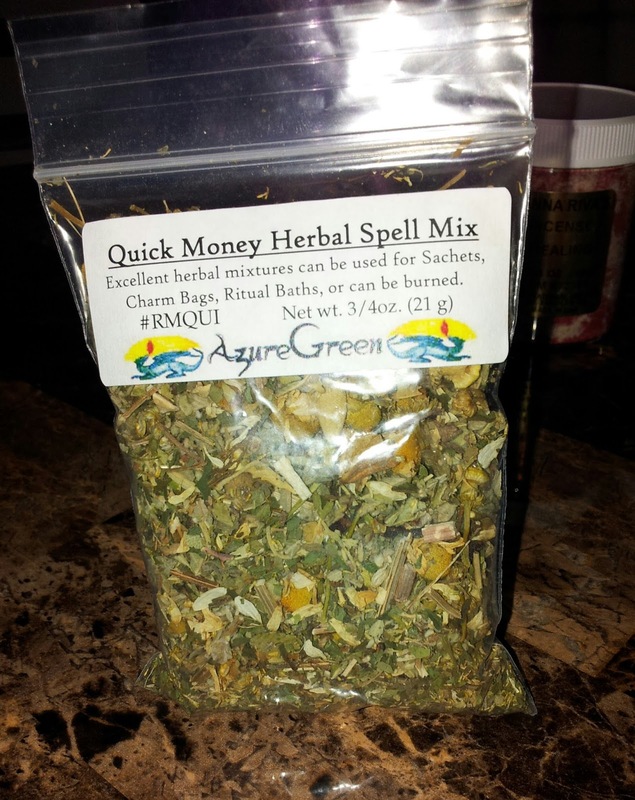 Quick money herbal spell mix. I had to grab this one. Especially after getting off the phone with a student loan company the day before. As well as standing for eight hours at work previous to my Dreammaker trip. A grueling and mind-numbing eight hours I must add. Anyway, I've never had a herbal spell bag before. And it was new so why not? I dropped a pinch or two into my crystals/gemstone pouch and'll burn the rest. You know. To see what cracks and crevices of life some little money will seep through. I was long overdue for a new smudge stick. My previous one is just that: STICKS. So I finally got a new one for cleansing and purifying space, body and mind. Oh, and crystals/gemstones. But check this. I read an article not long ago that linked burning white sage to clearing bacteria out of the air. So the Native Americans continued to have it right. Well, that's all I got for. Here's to 2016. More progress. More growth. Evolving with good people and better opportunities. Remember to visit the Dreammaker website for your own New Thought gifts.